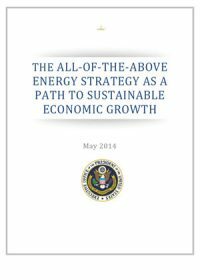 The President of the United States has set out an aggressive All-of-the-Above strategy on energy. Some of the recent trends in the energy sector predate the Administration and stem from technological advances and risk-taking by American entrepreneurs and businesses, as well as from government-supported research and other public policies. The All-of-the-Above energy strategy supports these trends through environmentally responsible production of oil and natural gas. In addition, the Administration has advanced the growth of energy sources with low or zero carbon emissions through programs that support wind, solar, other renewables, and nuclear, and has also helped to reduce energy demand by promoting energy efficiency. The Administration is also supporting an ambitious program of carbon capture, utilization and storage for coal and natural gas power plants and for industrial facilities.